The impact is far from Total Dhamaal as she dangles from a branch, on being chased by a CGI-executed tiger. The ludicrous stunt is meant to make you laugh, just her assembly-line jig to a jaded remix number is supposed to reload her vintage oomph on the dancefloor. None of it adds up to anything that remotely defines the magic of Madhuri Dixit. Total Dhamaal is the diva’s worst comeback bid yet, you realise, among a series of comeback bids she has attempted over the past decade — and that is irrespective of how the film fares at the box-office. In an era when every other female superstar is consolidating image with solid heroine-oriented content, Dixit’s first release in nearly half a decade is hardly a film her fans would want to remember for a long time. Strictly as far as the veteran actress goes, Total Dhamaal has evinced two types of reactions. There are those who grin and bear this clumsy shot at a comeback, because these are diehard fans who can see nothing wrong in what their dreamgirl does. And there is the more prudent larger majority that would be inclined to believe her latest film signals an alarming loss of plot as far as career planning goes. There was a plot somewhere, after all, going by her past efforts at comeback since Aaja Nachle released in 2007. Dedh Ishqiya in 2014 was definitely the classiest bid among her comeback releases, and even though Aaja Nachle and Gulaab Gang — her other attempts at a screen return post marriage and motherhood — were flawed fare, at least these heroine-oriented films accorded strong-enough roles that let her stand out. These films failed, but they did help Dixit take her stature as superstar and actor to the next level. Did she really need the brainless Total Dhamaal at this juncture of her career? Dixit would tell you she did the film for fun, harping on the trite leave-your-brains-behind argument. “You can’t hold on to sensibilities when you’re doing a film like this. You have to leave your intelligence behind and just enjoy what you’re doing… take things at face value and just have fun, without thinking too much,” network18.com quotes her as saying, while explaining her approach while shooting the film. There could be another, more pragmatic reason. Total Dhamaal, for all its puerile vibes that puts off purists, would seem like a saleable commercial package. The film might just do for Dixit what none of her other comeback attempts have managed — despite a flimsy script and role, the film could let her score a bonafide hit for the first time since 2002’s Devdas. The Dhamaal franchise has created a market for itself. The new sequel, third in line, is the biggest release of the series yet, flaunting Ajay Devgn and Anil Kapoor as stars along with franchise regulars Arshad Warsi, Riteish Deshmukh and Jaaved Jaafery. Sonakshi Sinha does an item gig, and the cast includes bankable funnymen including Boman Irani, Sanjay Mishra, Rajpal Yadav and Johnny Lever. Aamir Khan turned up for the mahurat shot, and the rumour was suitably kept alive all through the promotional campaign that he has a cameo in the film. Total Dhamaal also flaunts Crystal the monkey — the simian superstar of Hollywood’s blockbuster Night At The Museum and The Hangover franchises. Strictly as a commercial package, Total Dhamaal would seem Dixit’s safest comeback attempt yet. That is also where the awful truth hits you. 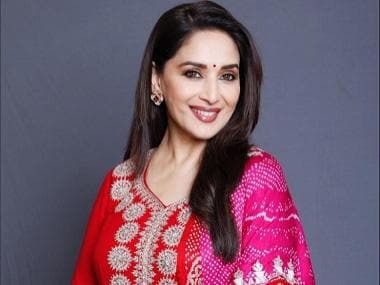 Unlike Aaja Nachle, Gulaab Gang or Dedh Ishqiya, Total Dhamaal will never be remembered as Madhuri Dixit’s film. Crystal the monkey’s Bollywood debut has garnered more hype than Dixit’s comeback. 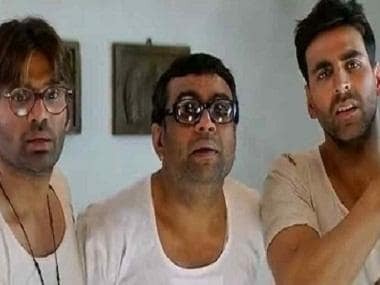 At 51, having been there and done it all, did Dixit really need a safe comeback, by way of a corny male-centric multistarrer mostly hinging on low-brow comedy? The question is pertinent if you consider the current Bollywood trend of creating sensible female-centric entertainers. The mainstream heroine is finding her feet for the first time in decades, in consciously-crafted scripts that reimagine the essence of modern Indian womanhood in all its hues. In this context, if Dixit opted for a nonsensical Total Dhamaal merely for a hit and merely because Dedh Ishqiya, Gulaab Gang or Aaja Nachle did not work, it would seem a professional gaffe at this point. If anything, it gives out the vibes that Total Dhamaal is a last resort of sorts for Dixit to stay in the spotlight, because the good women-centric roles have dried up. If that is true, it would be sad indeed — and symptomatic of the struggle senior actresses in Bollywood continue to face. Despite all talk of industry and fan perceptions changing, there are hardly any authorbacked roles for actresses above 40. Despite sizzling as the complete package in the otherwise flawed Aaja Nachle, she had to wait for seven years for a couple of offers that could tempt her to divide time between work and home. Her television outings have been sporadic, too. Shuttling between India and the US before finally settling down in Mumbai a while back, Dixit occasionally judged dance shows such as Jhalak Dikhhla Jaa, So You Think You Can Dance and Dance Deewane. Bollywood’s super dancer of the eighties and the nineties naturally found popularity as a dance expert of TV, unlike all those years ago when she tried hosting the reality TV matchmaking show Shubh Vivaah in 2001. Dixit’s next release is once again a multistarrer like Total Dhamaal, although she might get a more sensitive role. The film is the Karan Johar-produced period drama Kalank, where she is paired opposite Sanjay Dutt, and shares screen space with Varun Dhawan, Alia Bhatt, Sonakshi Sinha and Aditya Roy Kapoor. Her pairing with rumoured onetime flame Dutt has generated some buzz, as has the fact that she stepped into her role of a courtesan after the untimely death of Sridevi. Playing a classical dancer in the pre-Independence drama Kalank will probably let Dixit stand out among the huge cast, but it is her other upcoming film that has evinced wide interest. In Tahira Kashyap’s feature directorial debut Sharmaji Ki Beti is a small film that casts Dixit with Mirzya actress Saiyami Kher. The heroine-centric drama is about two unlikely women. Hopefully for her fans, these upcoming ventures will erase the memory Dixit’s current comeback misadventure.